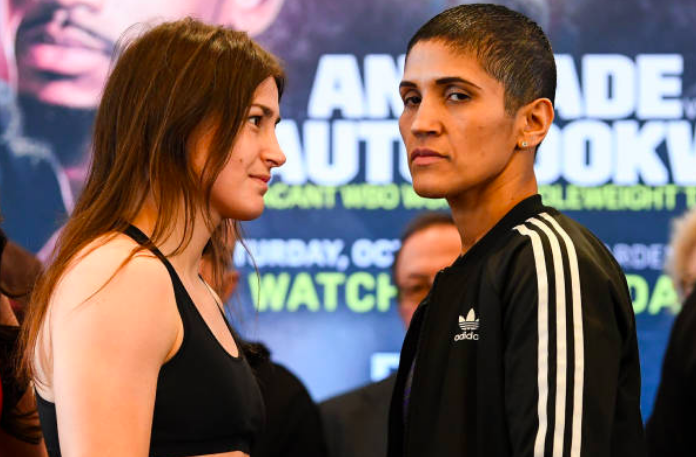 The Bray boxer emerged victorious in Boston's TD Garden last night during the fight that saw Taylor win each of her 10 rounds against Puerto Rican Serrano. The pair struggled to take much notable action during the first two rounds, with Taylor eventually gaining the upper hand in round three sending Serrano to the ropes twice. In round five, the Bray woman delivered an uppercut all but confirming that she was on the way to victory. Two rounds later, she dropped her hands and encouraged Serrano to deliver some hits as Conor McGregor watched from the ground. The final rounds continued to exhibit Taylor's skill and accuracy as she proceeded to land a succession of right hand hits that eventually led her to victory. Three judges scored 100-90 in favour of Taylor, allowing her to defend her IBF and WBA Lightweight world titles. This is 32-year-old Taylor's 11th professional win.